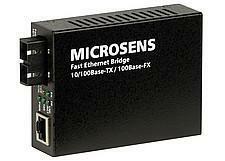 The MICROSENS desktop switches offer a cost effective way to realise modern fiber base networks in the LAN area (FTTO). 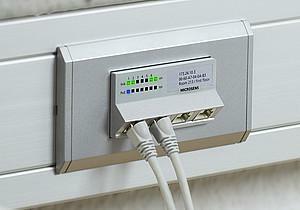 There are versions with Fast Ethernet or Gigabit Ethernet with different port numbers available. For high demanding applications the switches are available with management and the PoE option allows the simple implementation of VoIP applications. Thanks to this high variety it is possible to find the ideal solution for each requirement and each budget. The fan-less design of the devices guarantee a noiseless and realiable operation.